SEO Case Studies - the results speak for themselves! Reading through what we can do for you, checking out our qualities and browsing through our SEO articles and advice is all very well, but we think it’s equally important to show you examples of how we have helped some of our previous clients. Have a look at some of our SEO case studies below. We thrive on improving ranking in Google for the search terms that potential customers use so that, not only is the website’s online visibility significantly improved for the right keywords but more importantly, targeted traffic to the site is greatly increased leading to more enquiries and sales, resulting too in very happy clients and lovely testimonials! We spend time getting to know your business in order to optimise your site effectively and work hard to ensure the best results possible. The client first approached us in the July of 2016. He knew he needed SEO because he had very little online visibility and with 4 chiropody clinics in the London area he was eager to be found by his local market. He was aware however that he had a lot of local competition and being found for search terms such as “London Chiropodist” was unlikely. He had many reservations about hiring another SEO company when the previous one wasn’t able to produce any results. We analysed his top competitors and researched the best keywords to target. We then developed each unique page to showcase his individual services more effectively while also targeting one particular keyword, topic or phrase and optimised all associated visible and metadata. We set up and optimised a Google My business listing for each of his 4 clinics and worked with the client to gain Google reviews for each one. Relevant backlinks and citations were also gained. We created and continue to create optimised, relevant and insightful blog posts as we wanted to show that the client is an authority in his field to increase the all-important trust factor from Google while being seen as a top chiropody resource by his potential customers. We also increased his brand and website exposure with an effective social media campaign targeted to his local audience. The site’s Domain Authority has increased from 16 to 25. Traffic to the site has increased significantly and visitors finding the site as a result of a Google search has increased by 86.72% from the same time period last year. The site now appears on the first page of Google for its main search terms including “London Chiropodist” even though are about 312,000 competing websites! The client first approached us in the October of 2014. His site was slipping down the search engine results pages and his sales had been hit hard. He knew he had a lot of competition and was very worried about his business. He needed to show up on the first page of Google again if he wanted to remain in business. We performed a complete SEO audit initially and uncovered various indexing issues that we fixed as a matter of a priority. We corrected the huge amount of duplicate page content errors which related largely to the product pages containing so little unique content that they were being flagged as duplicates. We carried out extensive keyword research and created high-quality, relevant, and linkable content which helped in developing strong internal links. Meta description tags and title tags were updated for each page to better reflect the page’s content and increase click-throughs from the search engine results. The site’s link profile was checked and we improved the quality of backlinks and continued to gain more from authoritative sites. The site’s Domain Authority continued to increase as work progressed and is now 51! This has more than doubled from January 2016 when it was 24. Traffic to the site has increased considerably each year and visitors finding the site as a result of a Google search has increased by 76%. The site now appears on the first page of Google for many of its products in spite of the fierce competition. 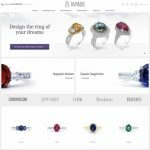 Although the site was over two years old it was attracting very limited traffic and the client needed the site to be found by his target market in order to increase his sales. 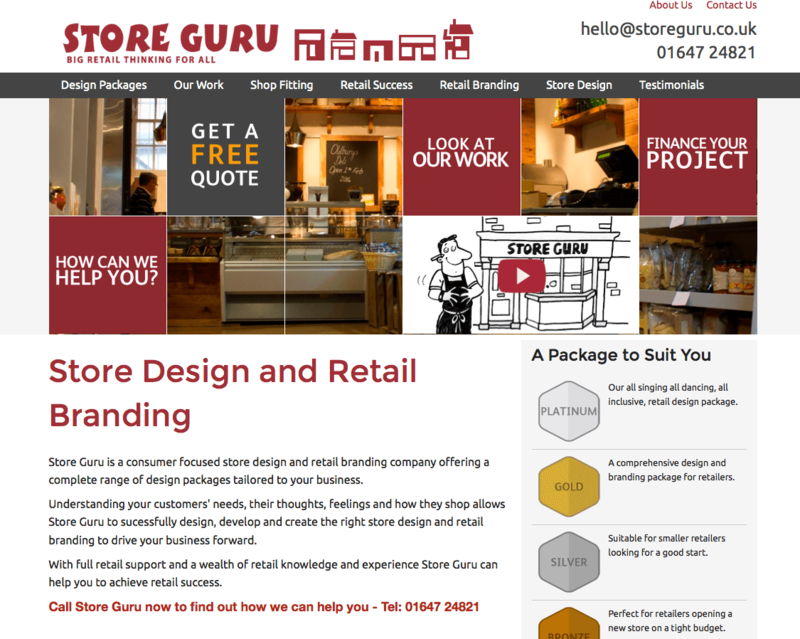 Four months ago Store Guru was only being found for very refined search terms in Google and Dave was keen to increase the site’s visibility in Google so he could be found throughout the UK for the services that he provides. We carried out extensive keyword research in order to target the right search terms for this business while being careful about competing in a very competitive market. We then optimised the site accordingly. We wanted to showcase the individual services more effectively and therefore added fresh, relevant and optimised content to promote these. We also gained relevant backlinks and provided recommendations on related elements to further enhance the site’s visibility. Traffic to the site has increased substantially and visitors finding the site as a result of a Google search has increased by 81.08% from the same time period last year. The site now appears on the first page of Google for its main search terms. 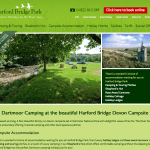 Harford Bridge Holiday Park is an award-winning Devon campsite in Dartmoor National Park. The client wanted their website found by people looking for a Dartmoor holiday. The park also has a Shepherd’s Hut that offers a special proposition called ‘comfortable camping’ and the client wanted this promoted. Before SEO+ started work, the site had poor ranking for search terms associated with Dartmoor. 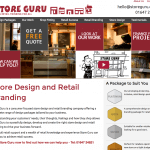 The client was concerned about business passing them by as other sites were better optimised. Building on an interesting and informative website launched in 2011, SEO+ were asked to retroactively engineer what had been overlooked in the original development brief. In 5 months the site has gained well over an extra one and a half thousand visitors and over a thousand of these were as a result of using a search engine. Paul Williamson: “We had overlooked the importance of SEO in the re-design and development of our new website. During the website project our business strategy was changing, so our requirements for optimisation lacked any real clarity at the time. A year on from website launch, SEO+ were employed to improve our rankings along specific lines of business development. Sue wanted her web design company to be found by local businesses searching for her services in Google and was frustrated that her competition was on Google’s first page while she was no where to be seen. 5 months ago she had very few website visitors and no one was finding her site in a search engine as a result of searching for the services that she offers. Sue needed her website to be found by her target market and needed to attract more business. SEO+ took into account her target market and researched the best keywords for each of her current pages. We then optimised her web pages and her code accordingly. We wanted to showcase her individual services more effectively and therefore added fresh, relevant and optimised content to promote these. Relevant backlinks were gained and advice was given on using social media more effectively. Within 4 months the overall number of visitors increased significantly and visitors finding her site as a result of searching for her services in Google has more than tripled. Simon and Lesley, the owners of Pens Unlimited, were keen to promote their printed pen services throughout the UK and wanted their site found for a variety of search terms that their potential customers might use. SEO+ spent time understanding the business and researching the target market. The website was analysed and all the pages were optimised to ensure they were search engine and user friendly and focused to the best and most relevant search terms. Internal keyword rich links were added and the site was submitted to various search engines and directories. More relevant outbound links were gained and advice on using Social Media was given. Simon and Lesley Dickinson: “We have been using Hazel since the beginning of this year and couldn’t be more pleased with the results that she has been able to get for us. Previously we had been paying for optimisation but our site was still not being seen and visited. Hazel took time to get to know us and more importantly our business and spent a good deal of her time researching our industry in order for her to be able to offer value to our website. 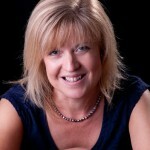 Hazel Jarrett is the founder and MD of SEO+. She has a reputation for doing SEO that works and gaining high search engine ranking results for all types of websites through her no-nonsense approach to SEO. Hazel has many years SEO experience and research under her belt and knows from first-hand experience what works and what to avoid.